Image of a detached prominence on the Sun. © Alan Friedman. Here’s the latest image of the Sun from photographer Alan Friedman, showing incredible surface detail as well as the remnants of a detached prominence that had erupted from active region 1166 on March 3, 2011. This image was taken during a Winter Star Party event in West Summerland Key, Florida. Alan’s fantastic solar images are taken with a specialized telescope that images the Sun in hydrogen-alpha light, providing a look at the intricate features of the Sun’s chromosphere…the layer just below the super-hot corona and covered with fast-moving fine filaments of plasma called spicules. His images have been featured on spaceweather.com as well as BadAstronomy.com, the Huffington Post, several installments of Astronomy Picture of the Day…and, of course, here on Lights in the Dark! (And lots more places too.) You can see the previous solar image from Alan taken in October 2010 here. Check out Alan’s astrophotography site AvertedImagination.com for more great images and art prints! Image © Alan Friedman. All rights reserved. Thats amazing! 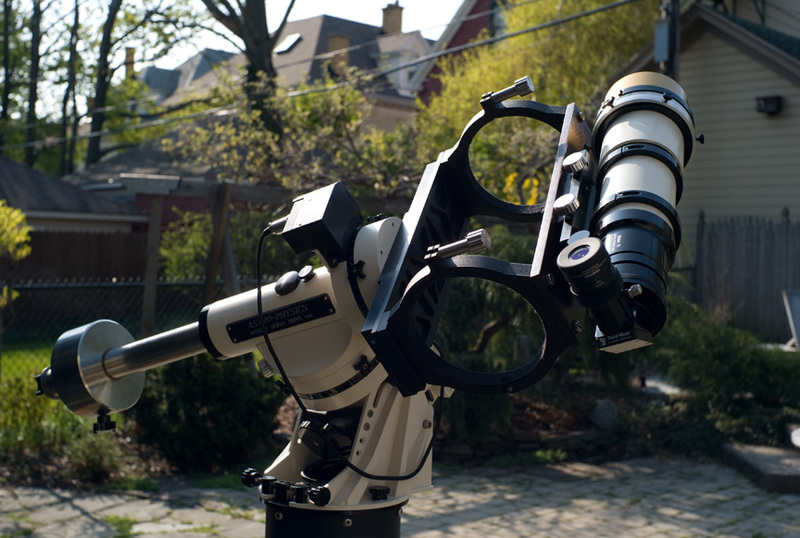 I wish I had a telescope like that!